Falling In Love With The Finger Lakes! I’d always wanted to visit the Finger Lakes. I’d been to the great state of New York many times, but never to this beautiful wine region! It was time! 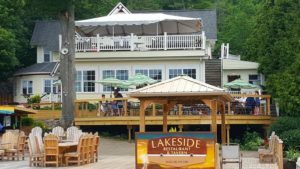 So … my husband and I headed there last month while on our East Coast road trip looking for the ideal spot to spend our summers! 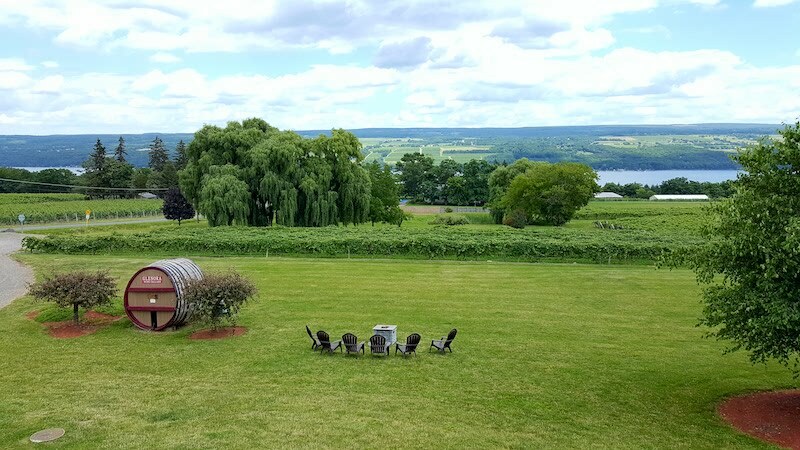 The Finger Lakes wine region goes back further than one might suspect. Reverend William Bostwick planted the first vineyard in 1829 in his rectory garden. Commercial viticulture officially began in 1862 and, as I mention below, Vitis vinifera makes an appearance 100 years later. 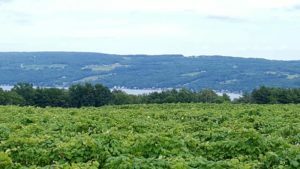 The area has eleven glacial lakes, but most of the vineyards are planted around four of these lakes: Canadaigua, Keuka, Seneca and Cayuga. 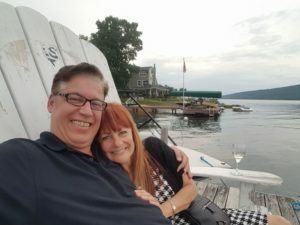 Sadly we only had time to visit two lakes on this visit, and we chose Seneca and Keuka. 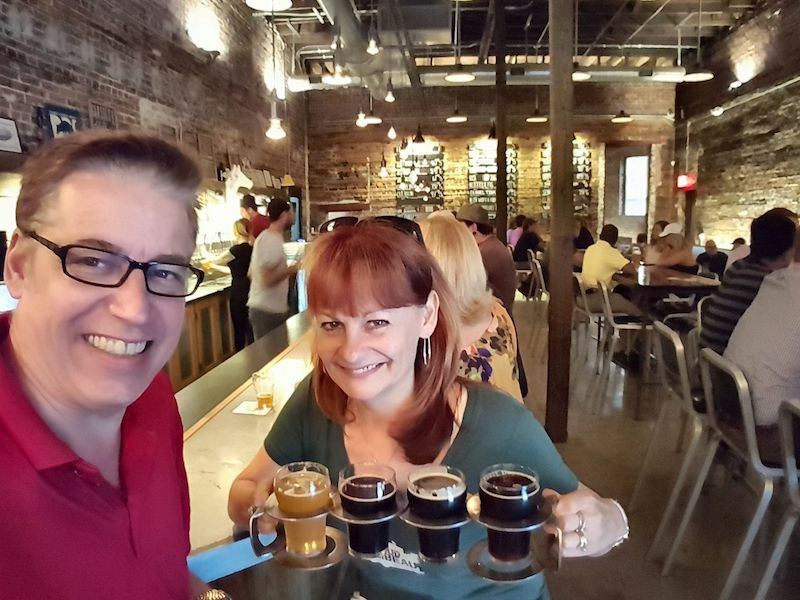 We visited multiple wineries, breweries and restaurants and truly fell in love with the area. I’m going to tell you about a few of our favorites! 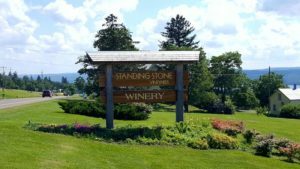 Our first stop was Standing Stone Vineyards. What a great place. 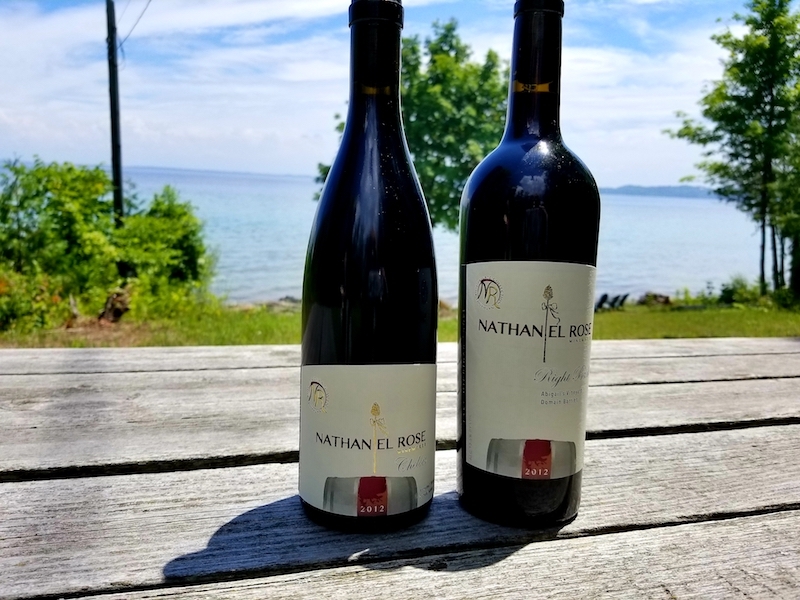 The winery is located right on Seneca Lake and has beautiful views from the tasting room. The people were lovely (sales guru Gary Smith and owner Marti took excellent care of us!) and the wines were fabulous. The 2015 Gewurztraminer has a lovely floral nose and just a touch of residual sugar on the palate. I adored the 2015 Riesling, with Meyer lemon and a tangy finish. My favorite, however, was the 2015 Saperavi! 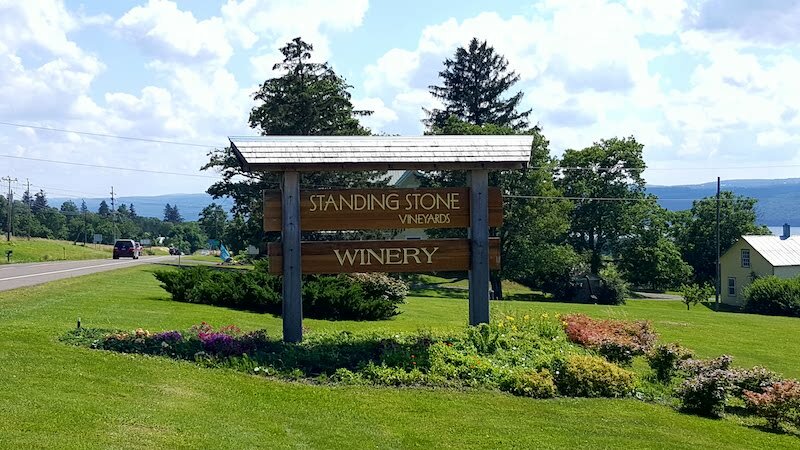 One of only five wineries in the entire U.S. to grow this grape, Standing Stone also happens to have the largest acreage of Saperavi outside the Republic of Georgia, where it originates! What a treat indeed!!!! 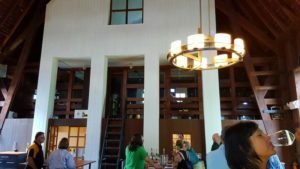 Another “must hit” winery on my list was Hermann J. Wiemer. A native of Bernkastel in Germany, Wiemer immigrated to the Finger Lakes in the 1960s. 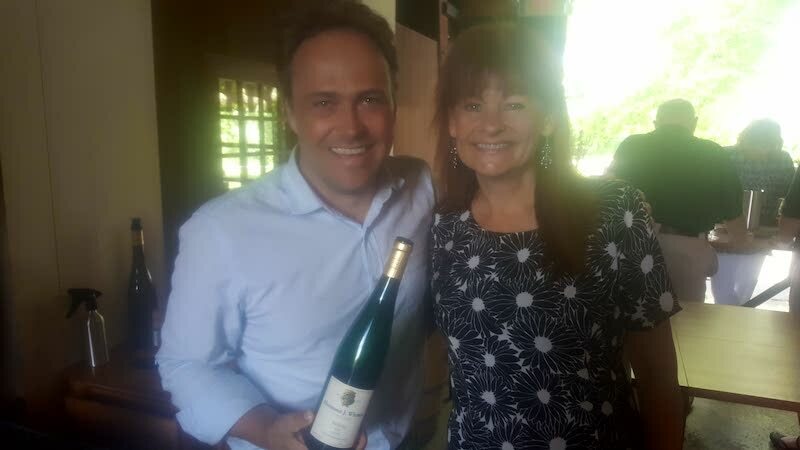 His family had been making wine in Germany’s Mosel Valley for more than 300 years and he was looking for the right place to start his own winery. The cool climate and gravelly soils of the Finger Lakes reminded him of the Mosel Valley, and he felt that this is where he’d be able to grow vinifera varietals and produce great wines! Many people were skeptical, but he was right!!!! Today his long time apprentice (Fred Merwarth) owns the winery along with Fred’s college friend Oskar Bynke (a Swedish agronomist who I was fortunate to meet at our tasting). Together they are making Hermann J. Wiemer proud! 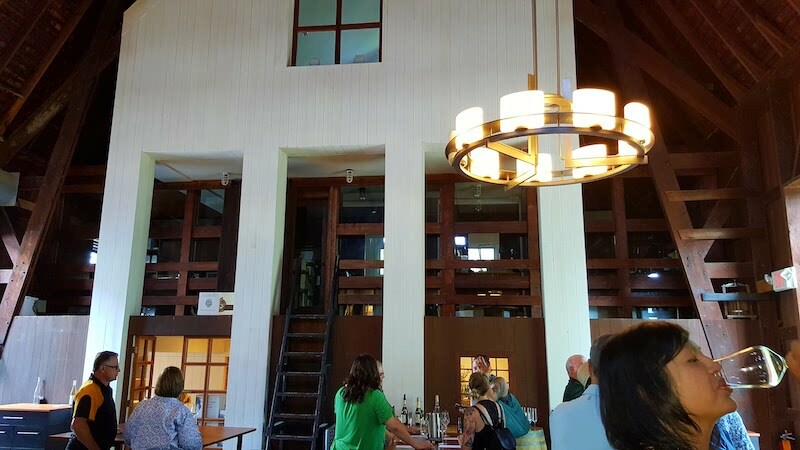 Located on the western shores of Seneca Lake, the winery is housed in a 90-year-old barn with modern interiors. The facility is amazing. So are the wines! There wasn’t a dud in the bunch but my favorites included the 2012 Cuvée Brut, made of 60% Pinot Noir and 40% Chardonnay! 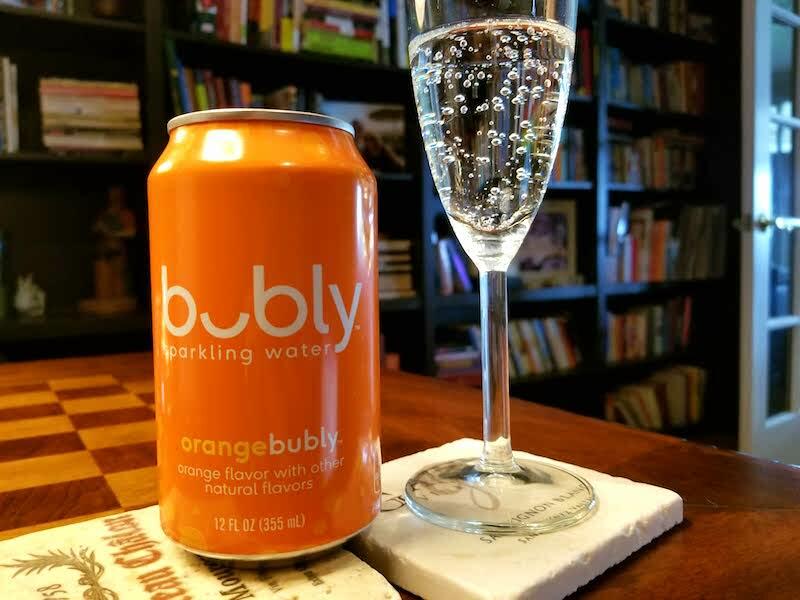 This may have been my favorite sparkling wine of our whole trip!!!! I also really enjoyed the ‘16 Gruner Veltliner and the superbly balanced Noble Select Riesling with great acidity! Stephanie, who is also an 8th grade English teacher in New York City, was absolutely fabulous! She’s the perfect “teacher”; super knowledgeable and beyond friendly and helpful. If I had a winery, I’d want her in it! 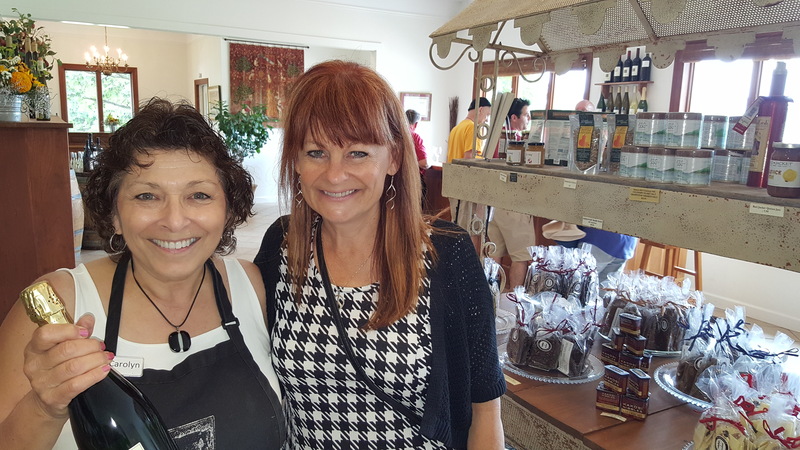 If you get to the Finger Lakes region, be sure to stop at Hermann J. Wiemer Vineyard for a tasting! That night we had a lovely dinner at Dano’s Heuriger On Seneca. We felt like we were in Austria, visiting the Heurigen of Vienna and Dürnstein, of which we have such fond memories! Authentically Austrian, the menu is eclectic and the wine list has fun Austrian choices, with a fabulous representation of the Fingers Lakes as well! We had a very nice dinner and Dano and his wife Karen were lovely hosts. Now to the “other” lake! We sadly didn’t have much time to spend in the Finger Lakes and wondered if we should stick with only Seneca on this trip. Well, we loved the region so much that we extended a day so that we could check out Keuka Lake too. Boy are we glad that we did. We absolutely adore Seneca Lake, but Keuka Lake is less populated and seems quainter. We fell in love!!!! 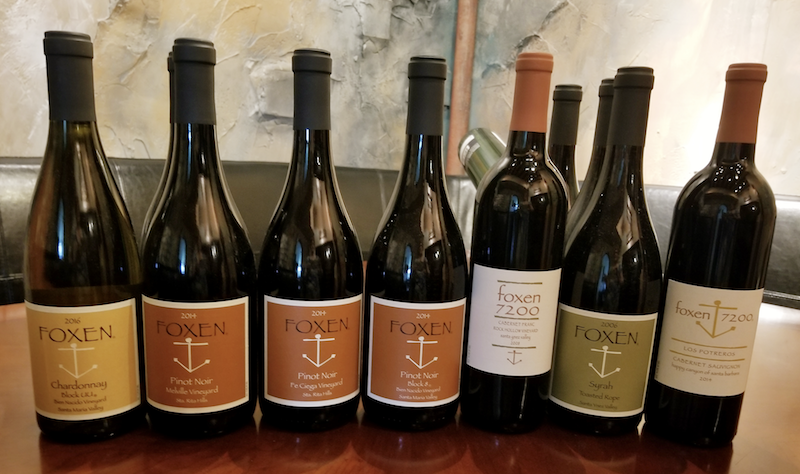 Ravines Wine Cellars has two tasting rooms, one in Geneva on Seneca and one on Keuka Lake. We decided to check out the latter. Again, the views are lovely!!!! As we tasted, our view was out of a large window that faced the view of the lake! Lovely indeed! The wines are great too! Our fabulous tasting was lead by a bubbly gal named Carolyn. She knew her stuff! 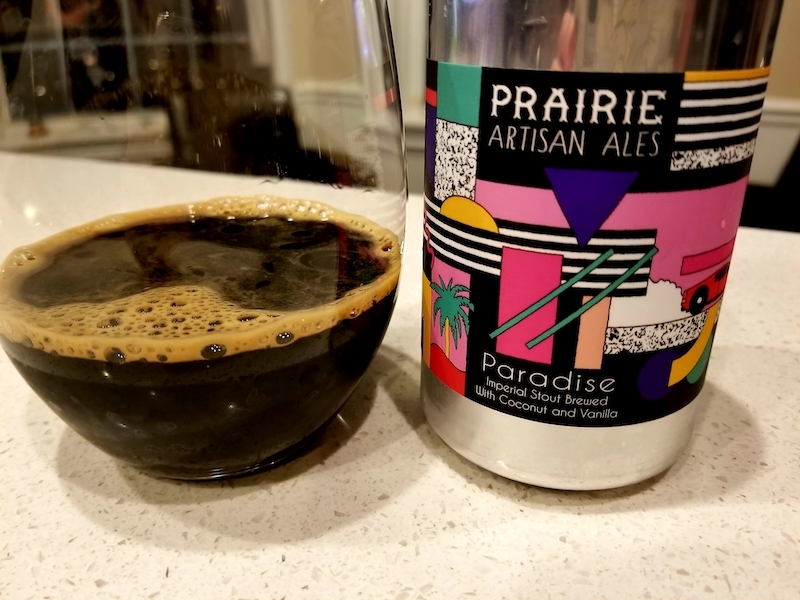 My favorite of the tasting???? I’m sure you’re not shocked to hear it was a sparkling wine!!!! Their 2007 Sparkling Brut is fabulous!!!! 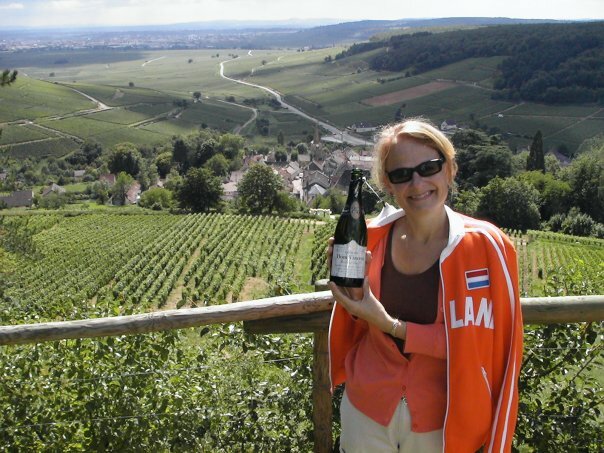 A blend of Pinot Noir and Chardonnay, this wine made is in the méthode Champenoise style and spends seven years sur lie. The hints of brioche and white flowers convinced me to buy a couple of bottles! Other favorites included the 2015 Dry Riesling from White Springs Vineyard and the 2016 Pinot Noir Rosé. That night’s dinner was extra special. The food didn’t rock our universe (although it was fine). Perhaps we simply didn’t order the right thing! It was the location that put the experience over the top!!! 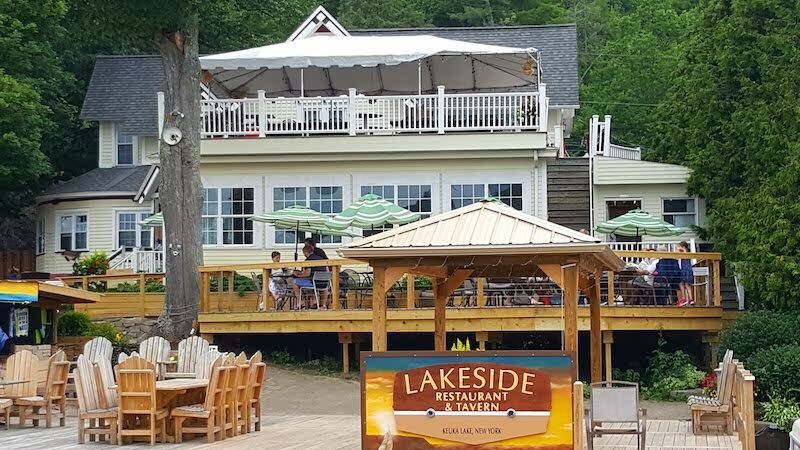 The Lakeside Restaurant and Tavern has been around since 1936, so they obviously know what they’re doing. They have indoor seating, but we couldn’t resist sitting outside on the three level deck. We enjoyed a glass of local wine while taking in the spectacular view and watching fellow diners arrive via their boats. After dinner we walked down to the dock and sat in an oversized Adirondack chair while enjoying the cool weather and the fabulous view. It was the perfect ending to our Finger Lakes experience. 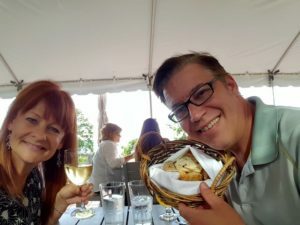 Soooo … if you find yourselves in the state of New York, and want to drink some wonderful wine in a gorgeous setting … head to the Finger Lakes!!! Who knows, if you love it as much as we do, we might just end up being neighbors one day. You Scream for Ice Cream? 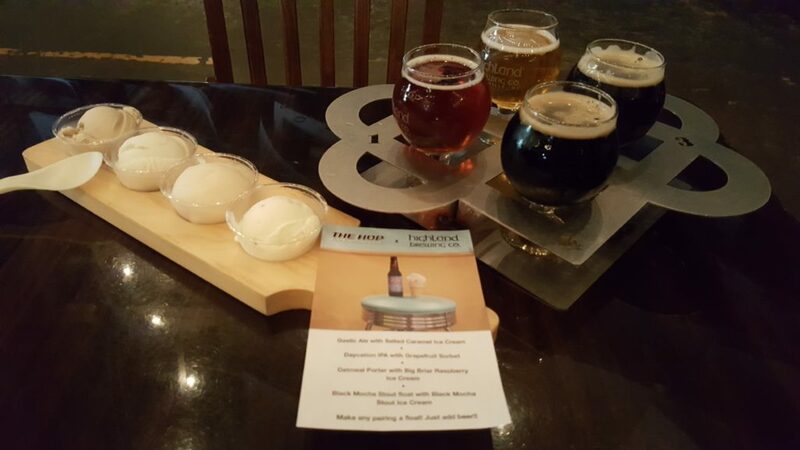 I Scream for Beer!